Uncle Sam approves these promotions! 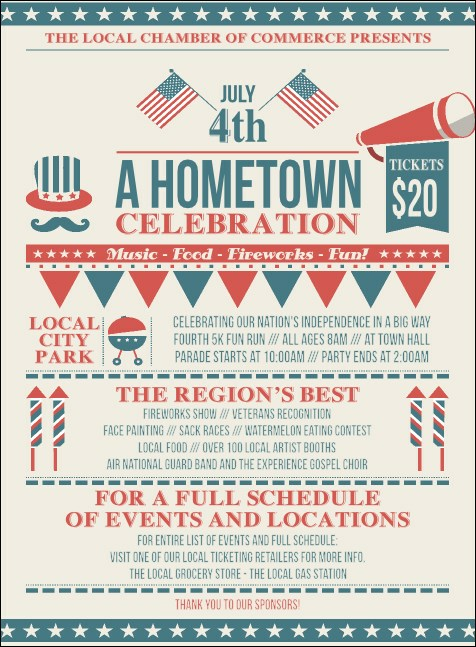 Advertise your holiday event in advance and invite everyone to join you in celebrating the anniversary of our nation’s independence with Fourth of July Hometown Invitations. Featuring an all-American design that includes stars and stripes in red, white and blue, these Invitations will help you inspire local pride. Free yourself from worry with great event promotions at TicketPrinting.com.